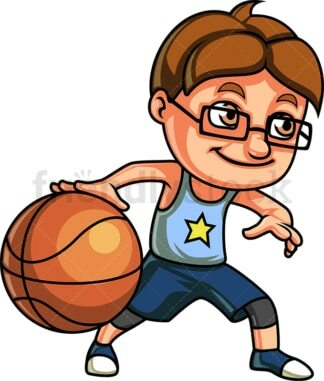 Royalty-free stock illustration of a nerdy little boy with brown hair, wearing glasses and a tank top, looking happy as he plays basketball. 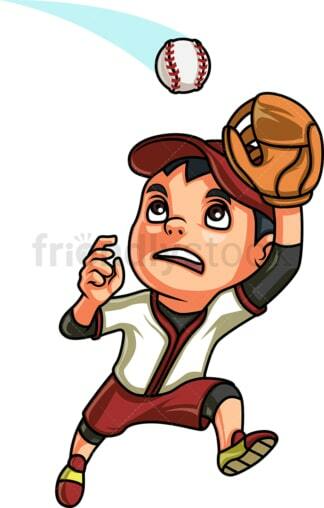 Royalty-free stock illustration of a little boy with dark hair playing baseball. Royalty-free stock illustration of a little boy with brown hair and blue eyes, with one eye closed, diving for the ball in a game of volleyball. Royalty-free stock illustration of an African-American little boy with dark curly hair, getting ready to hit an icoming ball with his baseball bat. 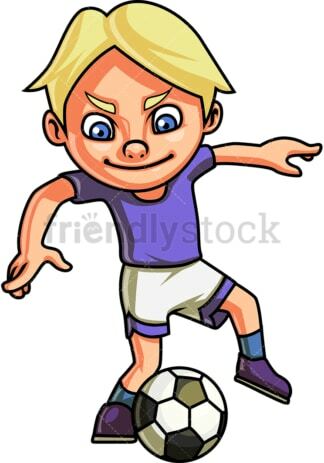 Royalty-free stock illustration of a blond little boy dribbling during a game of football. Royalty-free stock illustration of an African-American little girl with dark curly hair, brown eyes and a low ponytail, playing a game of badminton. 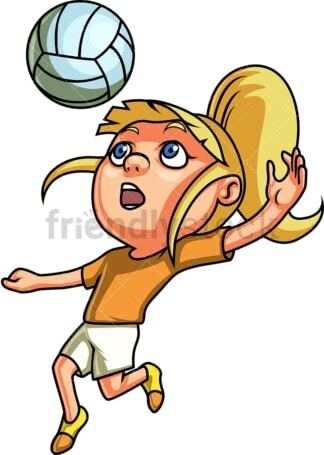 Royalty-free stock illustration of a little girl with blue eyes, blonde hair and a ponytail, jumping to hit the ball during a game of volleyball. Royalty-free stock illustration of a cute little girl with brown hair and green eyes, kicking a soccer ball and going for the goal. 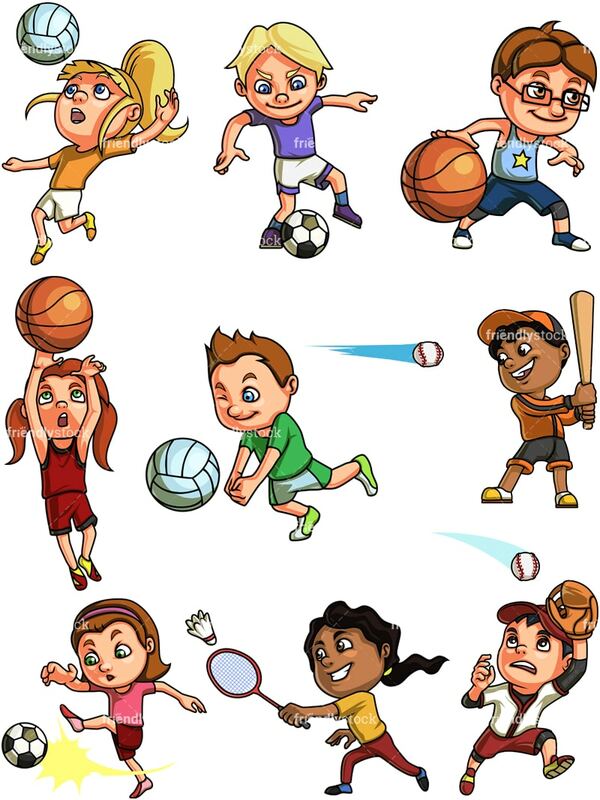 Royalty-free stock illustration of a little girl with red hair taking a shot during a game of basketball.